The continuing saga of the Marco Rubio Water-Bottle-Gate has a new and compelling twist: according to Senator Rubio (R-Fla), it was all God’s fault. 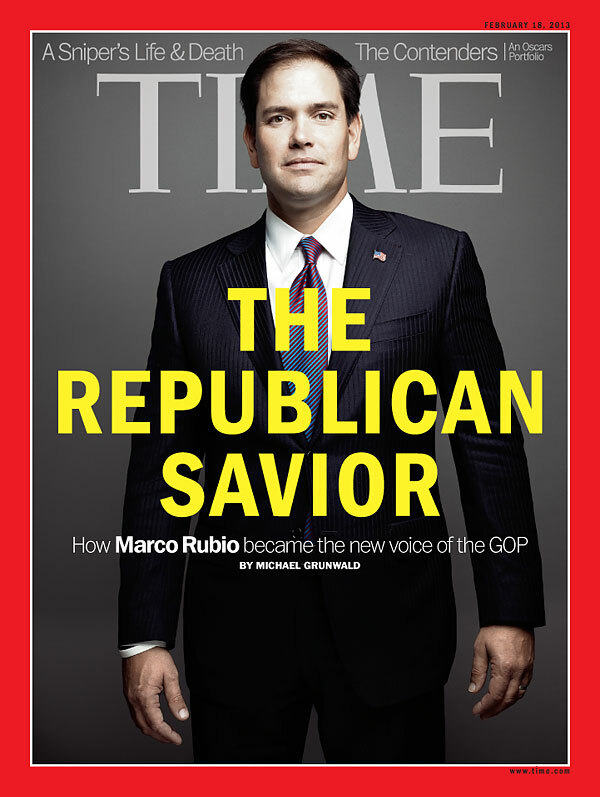 In an interview with the Christian Broadcasting Network, Rubio assured us that he’s not the Republican Savior as depicted by Time Magazine because “There are no saviors in politics.” (TRUE that!) But he has an explanation for the strange incident that quickly overtook the message of the Republican response to President Obama’s State of the Union address: God was reminding him that he’s human. Rubio didn’t lurch for the bottle of water mid-way through the most important speech of his life thus far because he was thirsty; or because he was nervous; or because he had just finished taping another video in Spanish, which is what he originally cited as the cause for his thirst. Nope. God intervened at that important time to remind Rubio that he’s human. Because God has nothing better to do than swoop down and give Republicans a bizarre case of cotton-mouth. God cares so much about Republicans that he wants to make sure they stay humble. Rubio’s humility is apparent; he said that night that he lives in a humble working class neighborhood. Humble indeed…but by what standards? And I certainly do think it’s mighty Christian of him to work to do everything in his power to try to capture the Hispanic vote for the GOP embrace illegal immigrants and bring them out of the shadows and into our benevolent society. Well, Rubio knows how to take advantage of a God-given opportunity. He bottled up his own water, slapped his name on the bottle, and sold the bottles for $25 each at a recent fund raising event. God is proud, I imagine, at the ingenuity of the humble servant who is Marco Rubio.